TAMPA, Fla. — A unique sight on the Tampa Riverwalk is disappearing, for now. 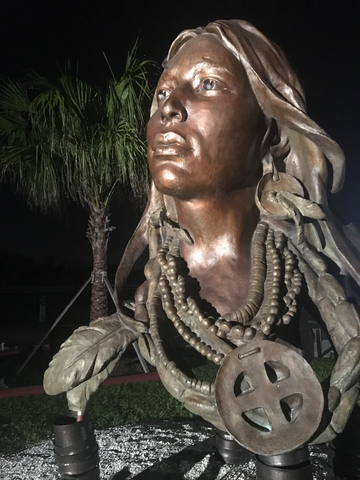 The City of Tampa says the massive bronze bust that celebrates Florida's native tribes had to go. Called "Ulele and the Lost Tribes," Columbia President Richard Gonzmart commissioned the bronze statue that's been installed at the Tampa Riverwalk since 2017. It sits outside Gonzmart's Ulele restaurant, and the public art has been a popular photo opportunity ever since. 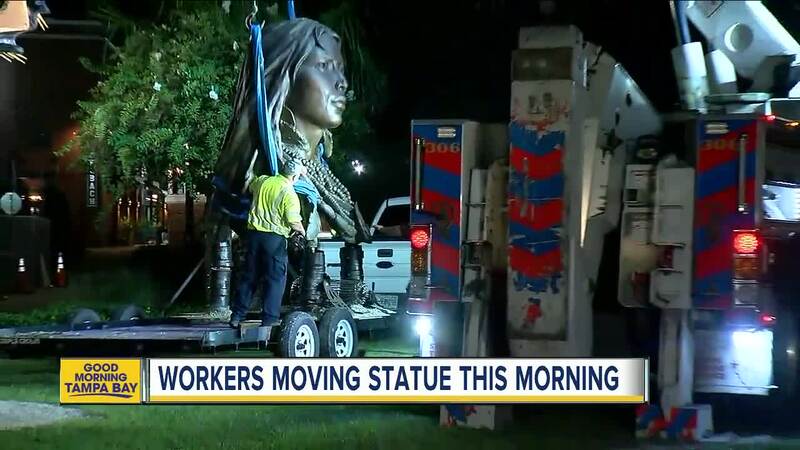 Gonzmart says, for some reason, Tampa Mayor Bob Buckhorn wanted the statue gone. Since the statue is technically on city property, and not on Gonzmart's property, the statue needed to be removed. 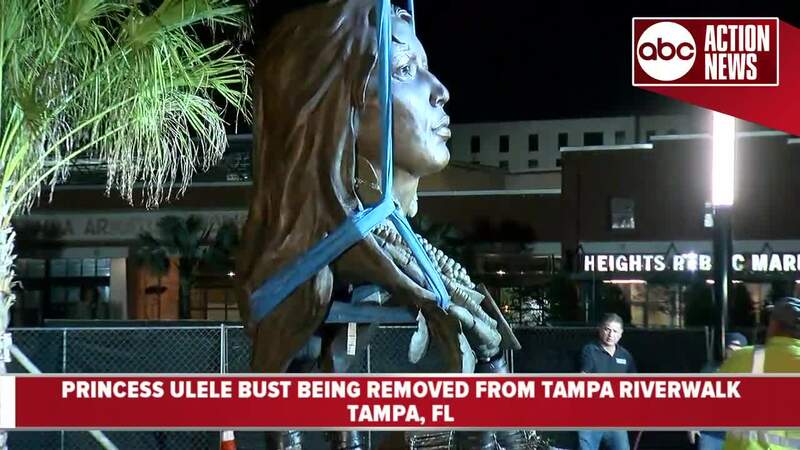 The mayor's office told the Tampa Bay Times that the city wants to keep the entire Riverwalk free of "clutter," and that's the reason they asked for the Ulele bust to be taken down. There are actually two statues of Ulele: the bust and another statue of the princess walking through fire. Only the bust, which is on the Riverwalk, was requested to be moved. It wasn't an easy process for crews Tuesday morning because the bust is 1,800 lbs. and 11 feet tall. The statues and restaurant are named for a Native American princess who is believed to have lived in Florida in the 1500s. The artist, Vala Ola of Cave Creek, Ariz., also created the Ulele statue that's closer to the restaurant. The Columbia Restaurant Group is moving the large bust to a warehouse until Gonzmart decides where he wants to move it next. "I ordered and paid for this statue to honor the Native Americans, such as Ulele, who lived in this area long before us," Gonzmart said. "It's been a wonderful addition to the Riverwalk and guests have taken thousands of photos of it. But I have been told repeatedly that Mayor Buckhorn wants it moved from that location." Gonzmart is best known as the fourth generation owner of the Columbia 1905 restaurant, among other popular dining spots across the Tampa Bay Area.